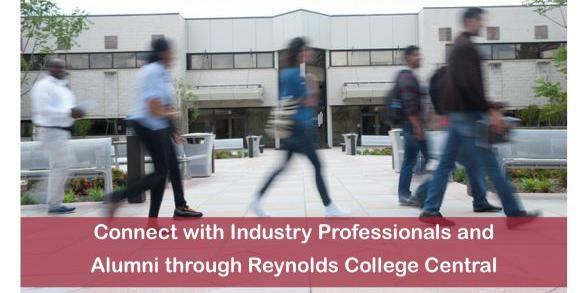 Did you know that Alumni have access to Reynolds College Central? Connect with industry professionals, post resumes, access career advice and much more! Get started by creating your alumni account today! Discover new skills this spring. CCWA offers hundreds of fast-track solutions in-class and online -- expanding your range of opportunities for professional and personal development Check out the spring schedule! Job leads, career advice, connecting with your Reynolds professors and fellow alumni. Reynolds on LinkedIn lets you do all of it! Be sure to include J. Sargeant Reynolds Community College as an educational institution in your profile. Students past and present will quickly tell you the Reynolds Culinary Arts Program is something special. That alums like Dave Hirshman write to say “Thank you” is a testament to the lasting positive spirit that starts simmering in the Reynolds kitchen during their studies. Read More. How do you go from leaving home at 16 without a high school diploma to a goal of getting a PhD from Howard University? Ask Jamal Brooks. He can tell you. You start in the Middle. Middle College, that is. Read More. Learn about the latest Reynolds news as well as Alumni programs and benefits by following us on LinkedIn, Facebook and Twitter. Around the World through Films presents Southside With You. Free and open to the public. For more info, call 523-5690. Need glasses? Reynolds Eyeglass Clinic is open for the spring semester. Visit the clinic Mondays or Wednesdays from Noon to 4 p.m. They will be taking orders through April 1.